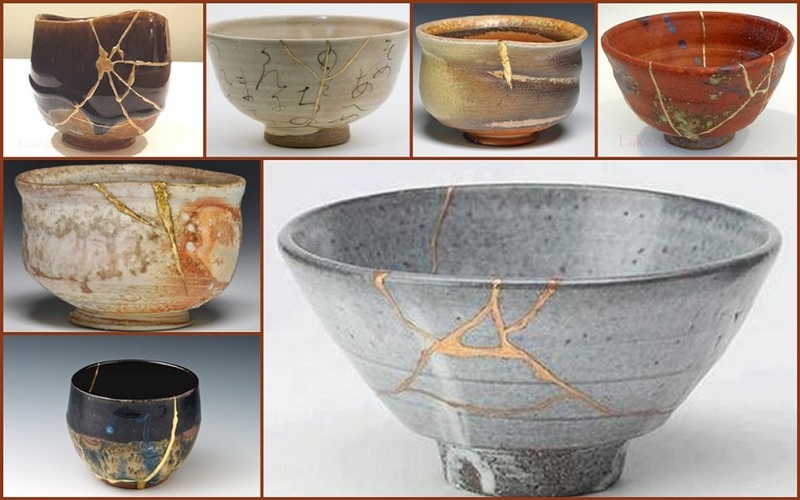 KINTSUKUROI (also known as Kintsugi) is the ancient Japanese art of repairing broken pottery with molten goldleaf, transforming it into a piece that is considered more beautiful for having been broken. The tributaries of shining gold highlight its uniqueness and resilience. To me, Kintsukuroi resonates as a powerful symbol for the process of healing, reintegration and transformation that can take place in a human being after suffering psychological or physical trauma.